Whatever you’ve been told about the cost of a DUI conviction in California, it’s probably wrong, and it’s probably going to cost much more than you might think. 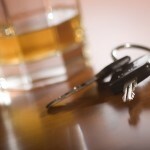 DWI costs vary depending on the jurisdiction, the precise charge, and any previous convictions. Nationally, the estimated average cost of a DUI conviction is about $10,000. The best way to counter a DUI charge – and its costs – in southern California is to contact an experienced Orange County DWI defense attorney immediately after a DUI arrest. Yes, an experienced DWI defense attorney will cost you something, but all things considered, it’s actually a smart investment. 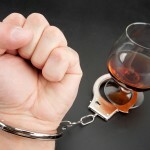 Going to court without a good DWI lawyer alongside you has hidden costs that are hard to project. Just consider the price you’ll pay to ride in taxicabs on a regular basis if your license is suspended. Getting around in taxis for a few months – or years – because you can’t drive is an expense that no one wants to face. When you are arrested for DUI, your car will be impounded and towed. Storage facilities are typically going to charge you between $100 and $1,500 – a day. And if you’re in custody, and you can’t make bail, you can owe a fortune after just several days. A DWI conviction will also drastically raise your auto insurance rates, and the price that you’re paying now will probably be gone forever. Bail will probably cost you from $150 to $2,500, depending on the particulars of your case. If you have to obtain a loan from a bail bondsman, you’ll pay back the loan plus a fee. 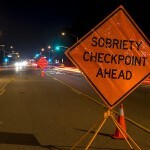 If you’re convicted of DUI, you’ll pay stiff fines and substantial court costs. You’ll pay a “restoration” fee to get your license back when the suspension is lifted. And you’ll be sentenced to DWI classes and ordered to pay your own “tuition,” which isn’t cheap. There’s simply no doubt – a DWI conviction will cost more than most people think. If you avoid a conviction, however, you can avoid some the fines, the fees, and the DUI school tuition. In Orange County or anywhere in southern California, if you’re arrested for DUI, make the call at once to an experienced Orange County DWI defense attorney.